I had quite a stroke of luck today when I went to a local thrift store. 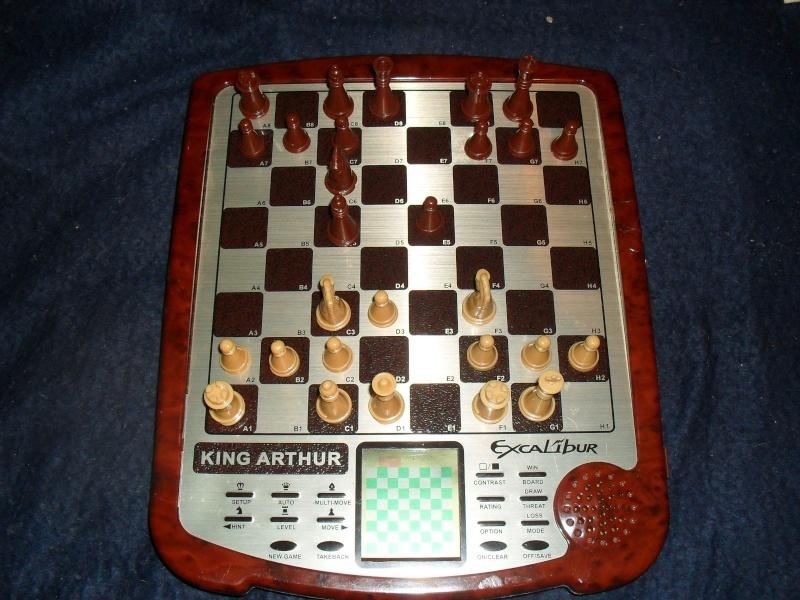 I managed to find and purchase this Excalibur King Arthur: Model 915-3 for only $1 dollar! The LCD display was bad, but that was easily corrected by applying a little heat to the contacts with a hair dryer. Now the display works just like new. This is quite a fascinating little chess program. Has anyone else used one before? Happy to hear that CG101! Have you tried playing with it? If so what is its strength?